↑ If you are not sure what film your diorama appeared in, you can use the search box at the top right of each page or visit the TUTORIALS SPEED INDEX to see a list of every diorama choice as well as every available category link for that project. You can click on the image above to bypass the main pull down (side if you use your phone) menu and warp directly to it’s page. If you want to go visual vs search and speed index , once you select your movie from the pull down menu (or side menu on your phone), you will go to it’s page where you can interact with the CATEGORY BUTTONS. What is cool about these category button links is that you can weed out what you don’t want to currently see. So for example, if you only want to see what decals are available for you to download, simply click 1x on the DECALS button link. Wanna see only the blueprints ? no problem, click 1x on the BLUEPRINTS button link etc… If you want to return to see ALL that is available, just click 2x on any category button link. So simple, you will get the hang of it quite quickly. This sorting system exists on other pages as well, so once you learn the first time, it will become second nature in future visits to the site. ↑ CATEGORY #1 : The first and possibly the most important category is the Step by Step MAKING OF tutorials. Here is where you will see how I built the diorama from start to finish. The images are broken down into easy to follow steps, just like you would find in a cookbook. If you prefer video instructions, YouTube making of’s may be available for my more current scenes, read more about that later as you scroll down this page. 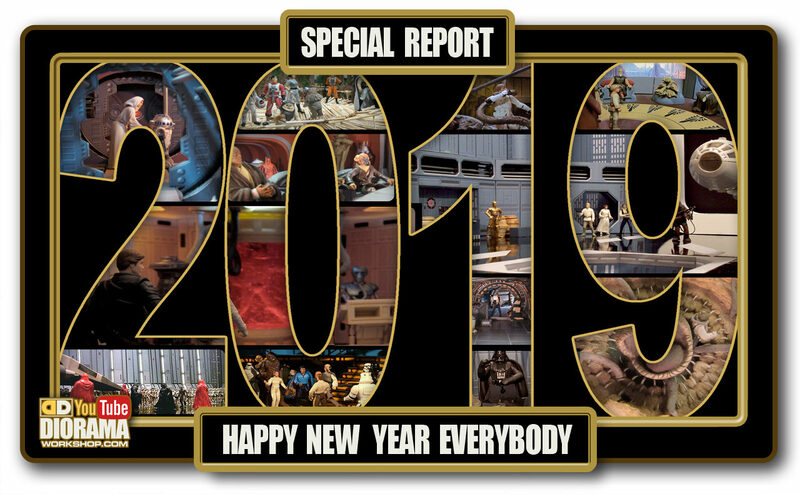 In some instances where the diorama you have chosen was one of our Star Wars Celebration Diorama Builders builds, extra materials that were used at the actual conventions maybe found and linked here as well. 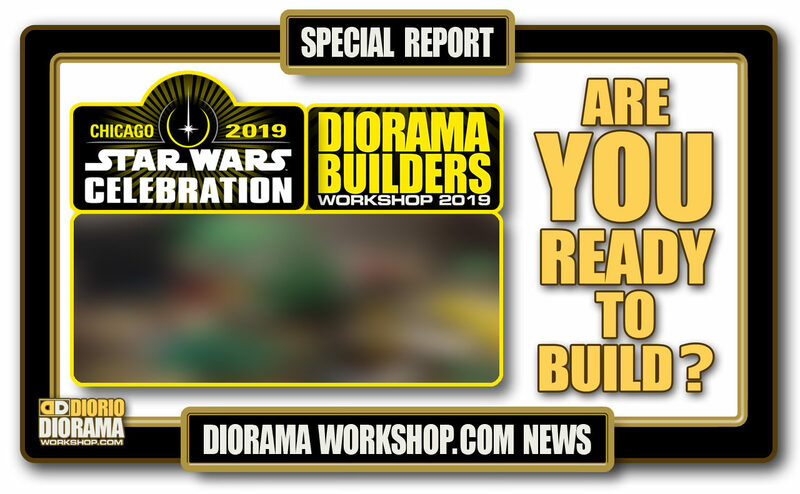 After you select what diorama construction you want to make, then you may need the following FREE downloads to help you along…. You can click on the image above to bypass the main pull down (side if you use your phone) menu and warp directly to it’s page. ↑ CATEGORY #2 : Diorio DECALS are the artworks I created in Photoshop to help add more realism to some dioramas. In recent years, the fun I have in doing these, is to try and get as close and accurate to the movie set. Using actual movie freeze frames and behind the scenes photos from Lucasfilm books, I examine and build up the layers until I get the images that you see here. I print them on full size Avery label sheets and apply them onto the foamcore pieces my diorama. More details on each individual decal pages. 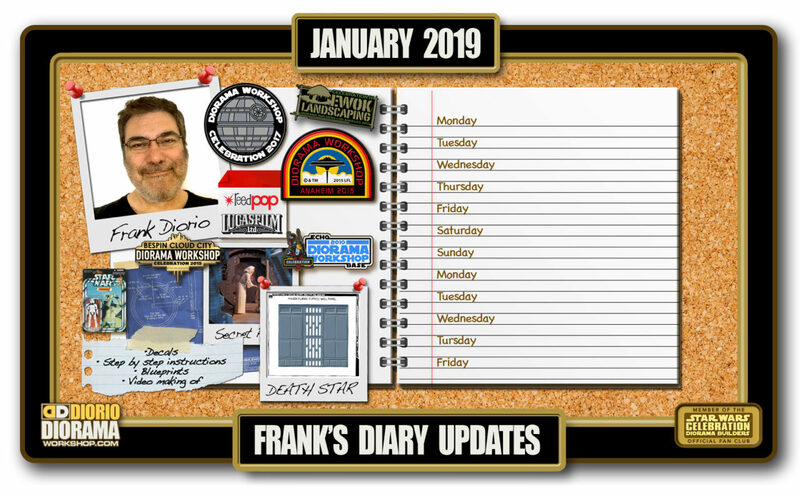 Also… 2018 brings you NEW improved way to organize and save you time with less clicks than before… PDF DOWNLOADS !!! Available for the very first time, all site decals will be grouped together and make sure you print the exact same intended dimensions without the worry of rescaling deformities that the past .jpg way created for many of you. Your decals should now always fit the measurements found in the blueprints and making of instructions. You can click on the image above to bypass the main pull down (side if you use your phone) menu and warp directly to it’s page. ↑ CATEGORY #3 : Next up will be the Diorio BLUEPRINTS which are another free download option for you to use when available. Some of my early dioramas I created before I started to map out blueprints. The Step by Step instructions will still tell you the measurements, but you would not have specific sheets to print out. I can tell you that my plan is to go back at these earlier works, and draw up the plans eventually, so that down the line, every diorama build will have it’s own blueprints to help you with your build. Blueprints will also come in PDF DOWNLOADS formats. Both easier on you to organize as well as print the exact same scale as my printer does at home. Assuring that your blueprints fit standard 8.5″x11″ sheets without rescaling and cropping. You can click on the image above to bypass the main pull down (side if you use your phone) menu and warp directly to it’s page. 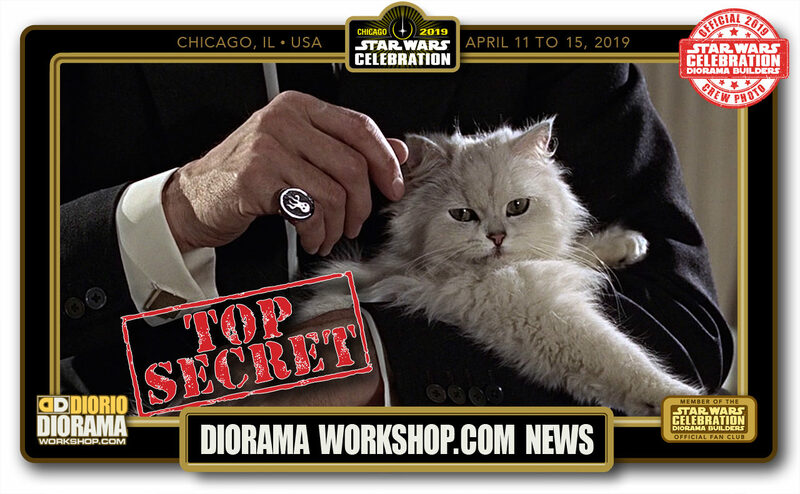 ↑ CATEGORY #4 : DioramaWorkshop.com has it’s own YouTube channel where you can find video versions of the website’s Step by Step instructions (as well as other fun stuff like time lapse and Celebration Diaries, make sure to check it out and subscribe. Now that I have retired from Film VFX, I have the time again to start making more video content for 2018 and the future). The VIDEO MAKING OF instructions will be embedded on site as well so that you can watch them on site as well if you prefer to do so. Sometimes it is easier to understand some of the instructions when looking at how I actually do it compared to still photos. Of course, video did not exist, in high quality anyway, on the web when I started to build dioramas in 1996, so unfortunately, not ALL tutorials that you find will also have a video version as well. The good news, is that my plan is to film myself building some of my early classic scenes, so that I can display them in my new home office. So it will be a win win for us all ? You can click on the image above to bypass the main pull down (side if you use your phone) menu and warp directly to it’s page. ↑ CATEGORY #5 : Next on the list is the MATERIALS LIST that you can print and bring with you to the art supply store to get what you need before starting construction of your diorama. 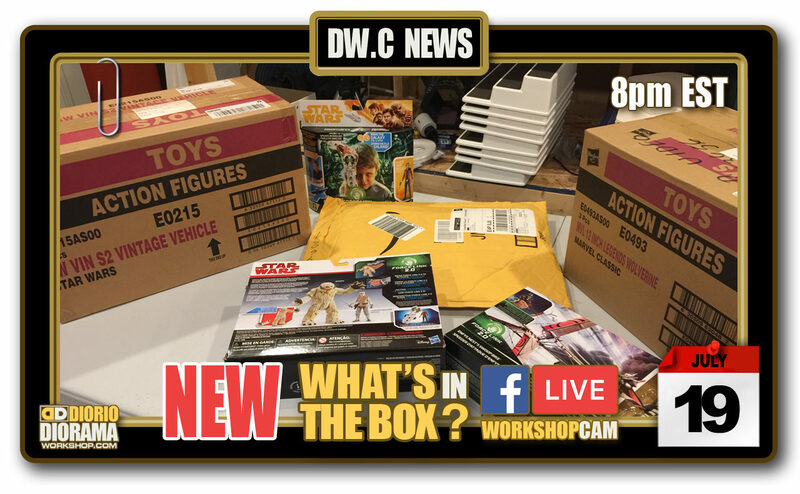 You will notice, if you start building a lot, that many items start to repeat themselves, like Hot Glue Gun, Hot Glue refils, Foamcore sheets, Xacto knifes etc… After your initial first visit to the store, you will be set up for future builds, which will start lowering the costs. WARNING !!! Once you build ONE Diorama you WILL build ANOTHER ? Are you ready to jump into the monster’s belly LOL. Now some of the earlier dioramas may not have a materials list yet. so be patient, I will try my best to seek those out until all the builds have printable lists. You can click on the image above to bypass the main pull down (side if you use your phone) menu and warp directly to it’s page.